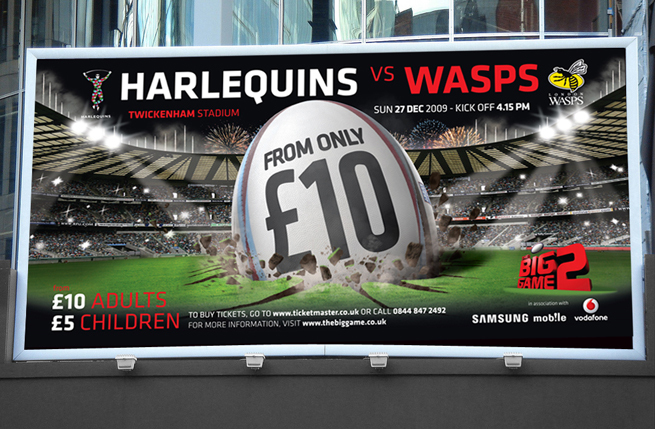 Make the Christmas holidays an even bigger family experience, watch the Harlequins battle to win the Big Game of the year. 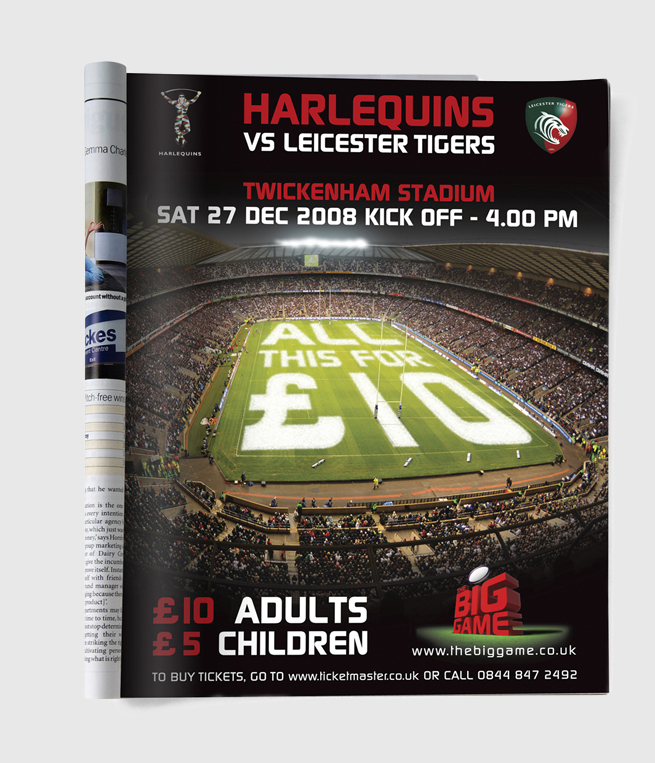 In 2008 we were asked by Harlequins Rugby Club to create a name, brand identity and advertising campaign for a new premiership game. 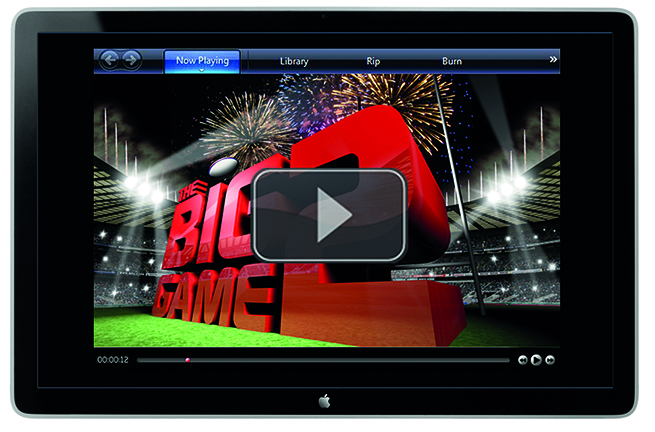 The game would be a clash of rugby titans played before a sell-out crowd enjoying a family day out during the Christmas holiday season. The campaign for the Big Game needed to live up to its billing, so the emphasis was on BIG. The branded elements from web content and posters to newspaper and magazine advertisements were designed to make an impact, not least on the pitch of Twickenham Rugby Stadium itself. 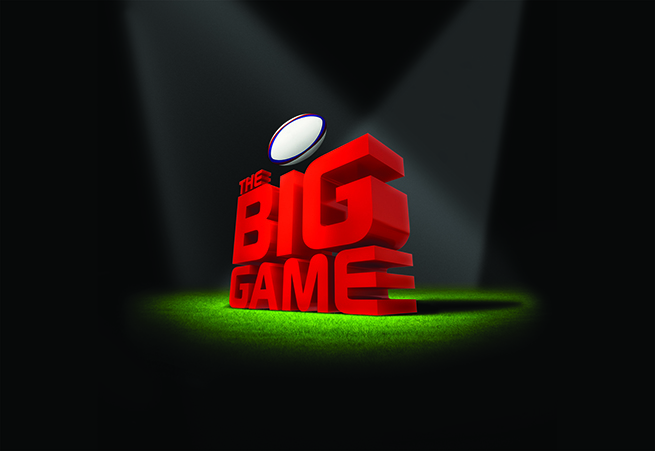 The first Big Game campaign achieved its target of 50,000 ticket sales and won the Sports Industry Awards for best Integrated Sport Marketing Campaign in 2009. In its second year the Big Game aimed to set a new record for the number of spectators to attend a UK rugby premiership game with over 72,000 tickets sold. Now established as a permanent fixture, the Big Game is currently entering its sixth year and we are sorry to say can not get any bigger, having reached full capacity with 82.000 tickets sold regularly every year.